The 48-year-old rocker joins previously announced headliners Rudimental, The Charlatans and Madness who will also perform at the four-day music extravaganza, which takes place at Lowther Deer Park in the Lake District in northern England on July 28 to July 31. The festival's founder Ben Robinson is thrilled to have booked his idol Noel and can't wait for festival-goer's to witness him perform songs old and new. 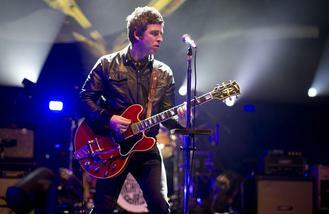 On getting Noel to play, he said: "My first gig in a field was Loch Lomond watching Oasis 20 years ago. That moment defined my youth and calling in the years to follow. Noel's songwriting has soundtracked the lives of millions over the last two decades; it's with great pride that we're able to bring those anthems and his new hits to the fields of Kendal Calling." And Tim Burgess of The Charlatans said it's going to be "extra special". In a statement, he said: "As ever, I'm really looking forward to Kendal Calling. The sixth year in a row for me, the second time The Charlatans will have headlined and this year is the fifth year for Tim Peaks. It's going to be an extra special four days. See you there!